For the most dramatic performance improvement in a water utility in the developing world in 2016. Nairobi City Water and Sewerage Company (NCWSC) is the municipal water and wastewater utility for Kenya’s capital city, and is a wholly owned subsidiary of Nairobi City County. NCWSC overcame significant barriers to transformation in 2016, and completed a comprehensive performance improvement programme. In 2012, NCWSC’s productivity had stagnated and its asset improvement programme was lagging behind growth. Since then, it has emerged as one of the leading utility innovators in sub-Saharan Africa. Maji Voice, an interactive consumer and staff engagement system, has allowed both customers and staff to lodge complaints and have them resolved within 24 hours. The utility has reduced non-revenue water from above 45% to 38% through improved meter management and an accelerated response time to water leaks. This has had a positive and proportional impact on revenue collection and billing efficiency. 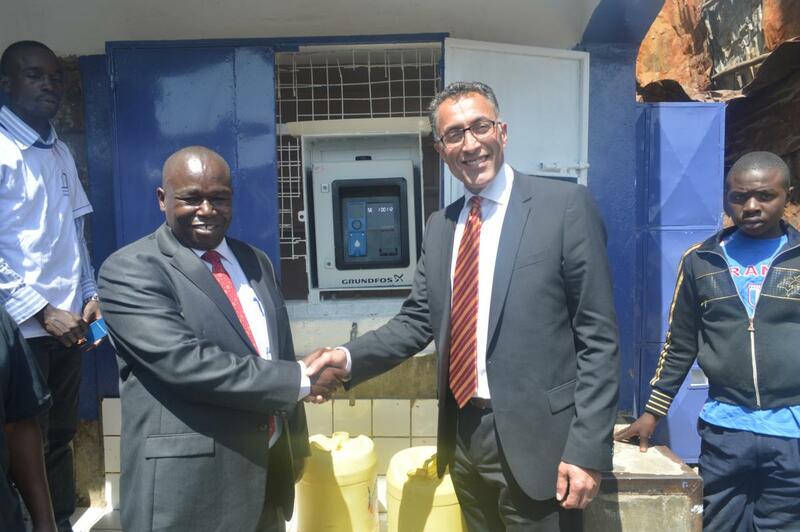 During the transformation process, the utility increased its water production by 130,000m3 per day, boosted its annual bill collections by KES2,813 million ($27 million), and increased the number of paying customers by almost 40,000. This included empowering residents in low-income settlements by connecting them to the mains water network and signing them up to the Jisomee meter platform, a cellphone-enabled metering and billing initiative which dramatically improves revenue collection and can detect fraud. The body responsible for providing quality drinking water and wastewater services to over 144,000 metered customers in urban areas, and for setting up water supply systems in rural regions, reaching over 700,000 people nationwide. The Water Authority’s “Water Champion” programme has become a vital platform in the battle to create greater customer awareness of its operations across rural and urban areas. Since its inception in 2014, the flexibility of the “Water Champion” programme has provided both a theoretical approach to learning about water and wastewater services, and a practical exercise where students and corporate bodies can witness WAF’s operations first-hand. The programme has become the voice for water conservation in Fiji, while communicating the value of water and wastewater services to a multitude of stakeholders. Champions who have graduated from the programme include staff from WAF itself, school students, and even members of other utility organisations such as Telecom Fiji. WAF has executed this programme at the same time as providing clean and consistent drinking water to its customers 24 hours a day, 7 days a week in support of its commitment to the Sustainable Development Goals. The achievement is all the more remarkable given that it has had to tackle a depreciated reticulation system with limited resources and technical skills, while facing rising volumetric demand from an increasing population.